A local attorney has filed a complaint against Nye County and its animal control department after she said she was intimidated and harassed by one of the agency’s officers over a county ordinance enacted last year limiting the number of dogs and cats a homeowner can have without a permit. 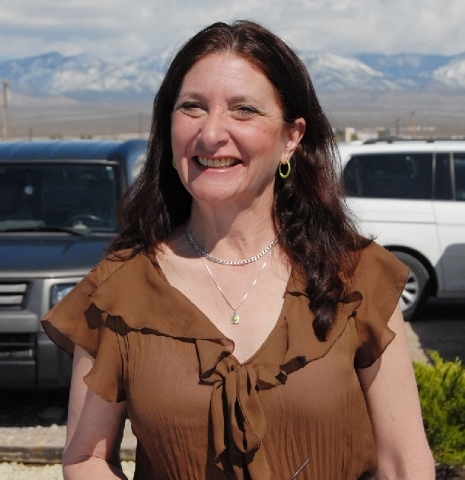 Nancy Lord filed the case in District Court on July 11 seeking either a restraining order against animal control or expenses to cover her move from the county to remedy the situation created by Nye County Ordinance Number 430. The ordinance requires animal owners with more than five dogs or cats over the age of six months on any given property to obtain a residential kennel permit and anyone with more than 10 dogs or cats over the age of six months to obtain a commercial kennel permit. Lord said her issue with the law is it only addresses two kinds of household pets, and is vague in defining the requirements of the code, like how it is applied to apartment complexes or multi-family homes. She said it is also not applied equally to all residents of Nye County, as it affects only those living within the designated towns. According to Lord, no pets were grandfathered in under the new code and the county failed to give proper notice in the newspaper of record to inform pet owners of the new ordinance. Lord states in her complaint that she filed a similar action against the county when the law first went into effect, but never served it as she was informed the ordinance was only enforced if animal control received a written complaint about a specific pet owner. “Lord sometimes sings short jingles to the dogs around their names, treats them with naturopathic protocols to improve their health and well being (sic), teaches them tricks including ‘mucking’ a wagon, and dances with them,” the complaint states. The attorney wrote that having to lose one of her animals based on the restrictions imposed by the new ordinance would cause her immeasurable pain and suffering if enforced. Though Lord’s protest of the ordinance began over her belief the law was written in a way that made it legally invalid, the situation escalated the morning of May 22 after Lord alleged Animal Control Officer Susan Ryhal used a report of Lord’s dogs getting loose as an excuse to intimidate and harass her to come into compliance with the code. According to the complaint, Ryhal allegedly told Lord, “she knew she had 14 dogs,” on the property and gave her 30 days to come into compliance or risk having some of her pets impounded. “Defendant Ryhal was, in all likelihood, aware that the dogs that were loose did not belong to Lord, but used the coincidence as an excuse to frighten and intimidate her about the ordinance that she had already filed a lawsuit on but had never served,” the complaint states. She also claims Nye County did not have the authority to enact such an ordinance that retroactively changes the legal consequences of acts committed prior to the start of the new ordinance. The complaint also states the code violates citizens’ rights to due process, privacy, reasonable searches and seizures, cruel and unusual punishment and compensation for taken property. According to Lord, the policy is inconsistent with state law and fails to address other types of pets such as horses, snakes, cows, goats, sheep, rabbits or ferrets. Lord’s complaint asks that the court to void the ordinance under both the state and U.S constitutions and grants a temporary restraining order against the county and Nye County Animal Control to prohibit them from enforcing the ordinance. Should the court deny her request for the restraining order, Lord asks that she be granted monetary damages in excess of $10,000 to cover moving expenses to another location outside the county or to give her a stay of the ordinance for a period of three months to find somewhere else to live with her dogs. “They made something illegal that was legal when I did it. And their position is not that you can’t have them, it’s just that you need a kennel permit. My problem with that is, by having the kennel permit, and now they have all the information and B, they have the right to inspect your property. A person that is just doing lawful behavior, that’s not in a business should not have to be subjected to inspections by the county,” she said.